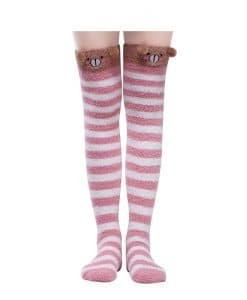 Thigh High Socks with full body cute red and white strips adorable pattern. A Warm Sweet Birthdays, Holidays Gift for lovers, wife, daughter, sister, girlfriends, Christmas gift. 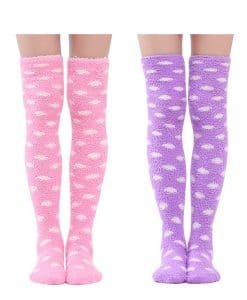 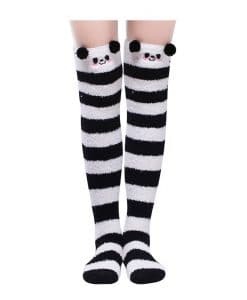 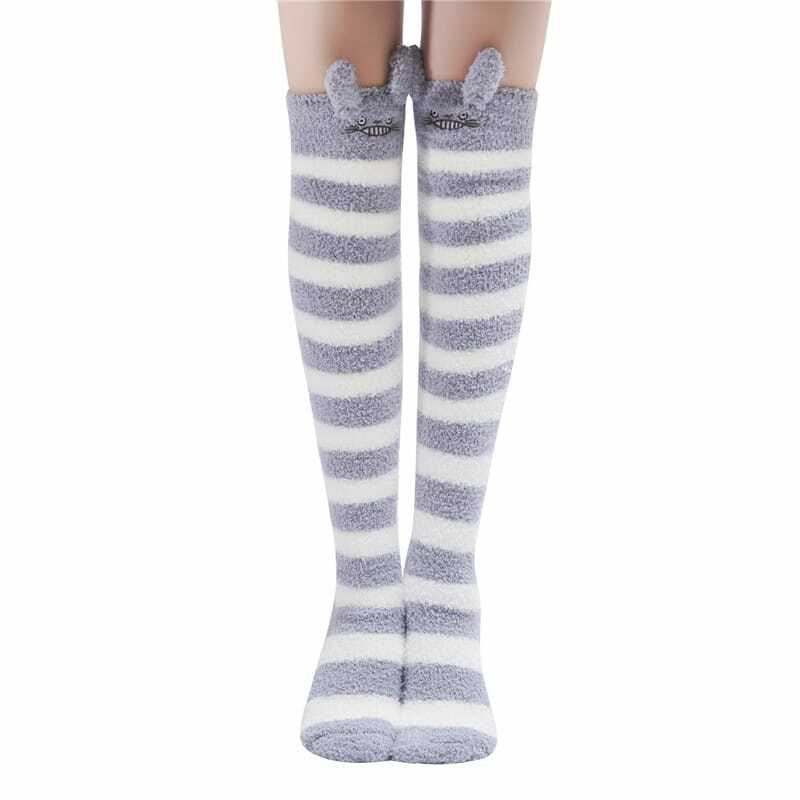 Designed for being cute, strips Coral Fleece Thigh High Long Socks are super soft to wear, very stretchy with highly elastic. 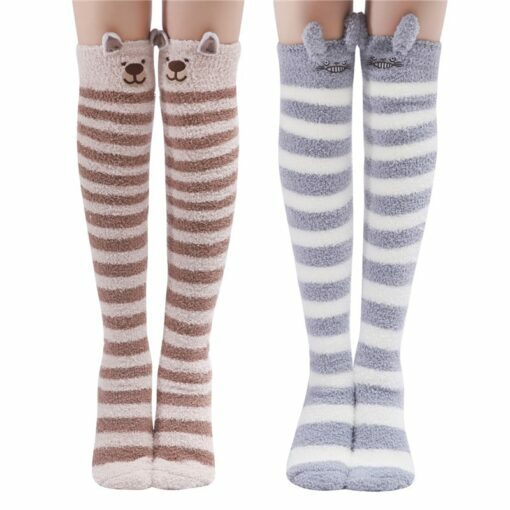 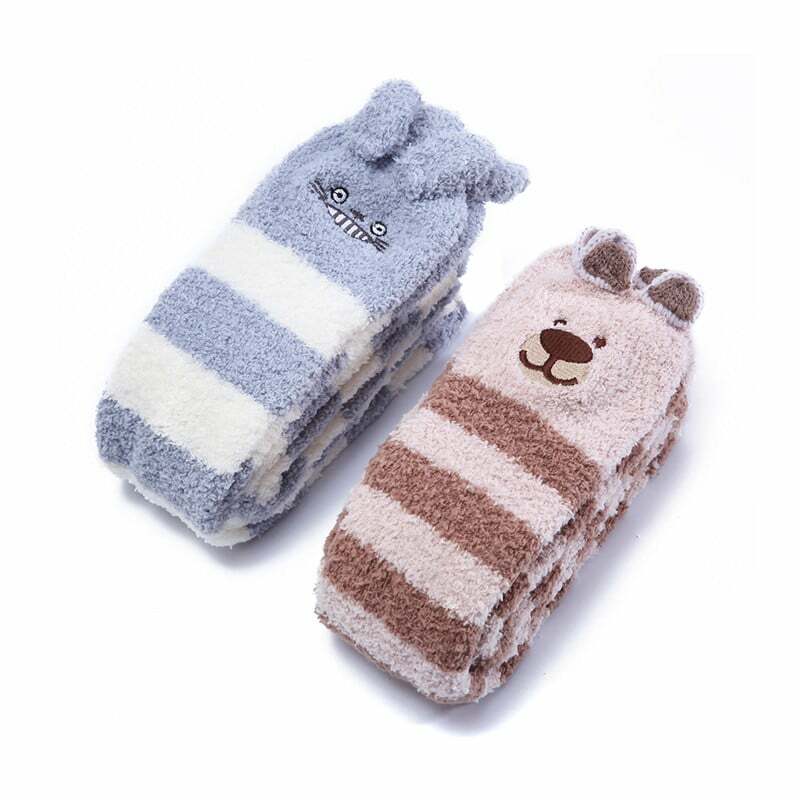 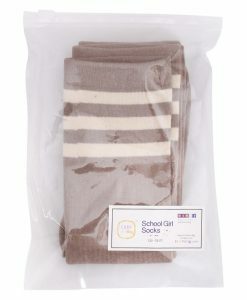 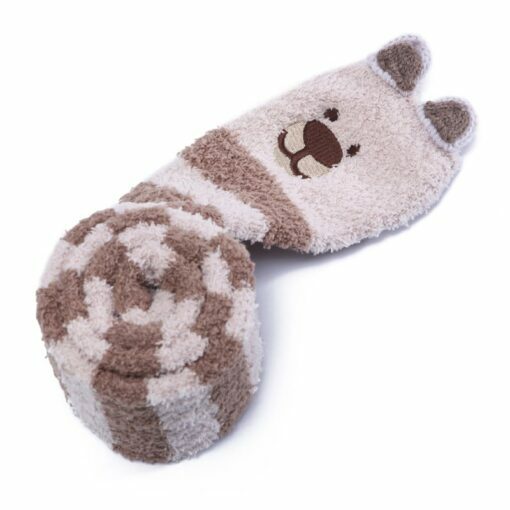 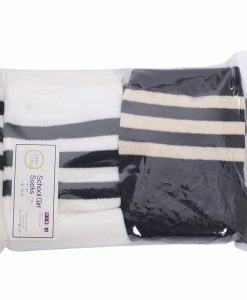 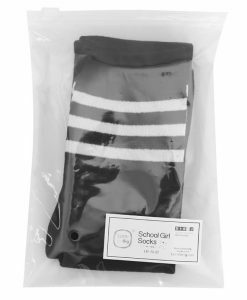 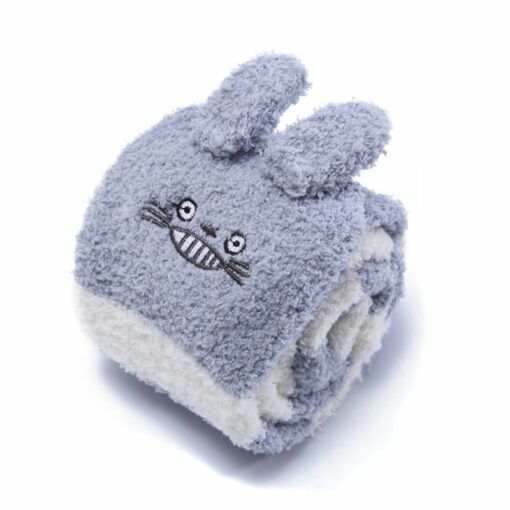 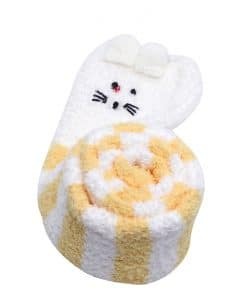 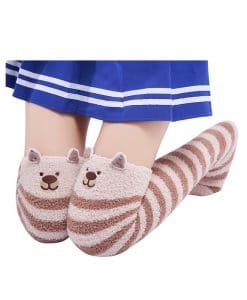 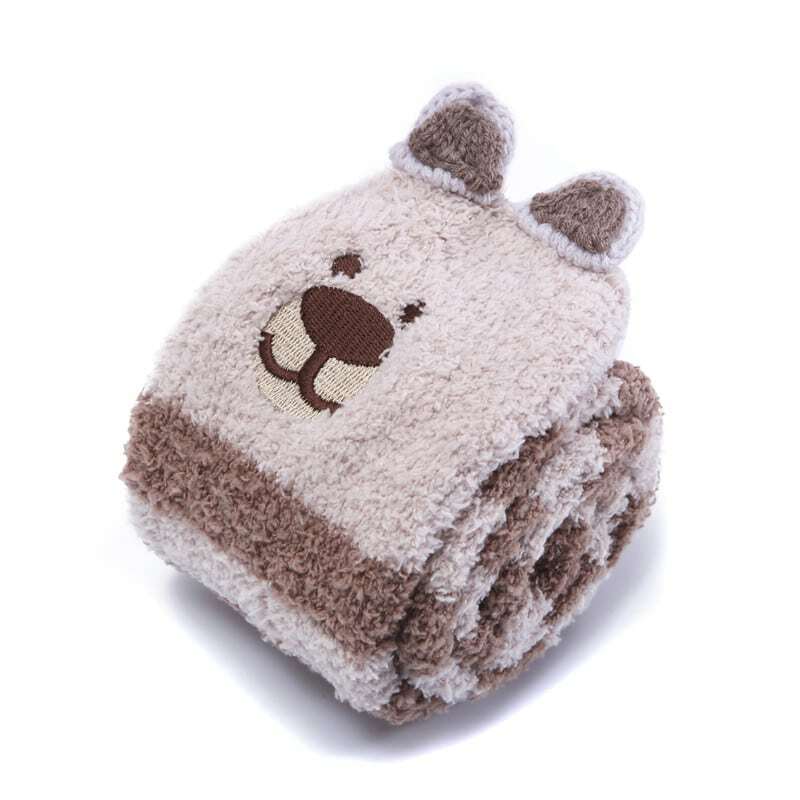 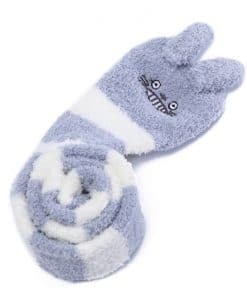 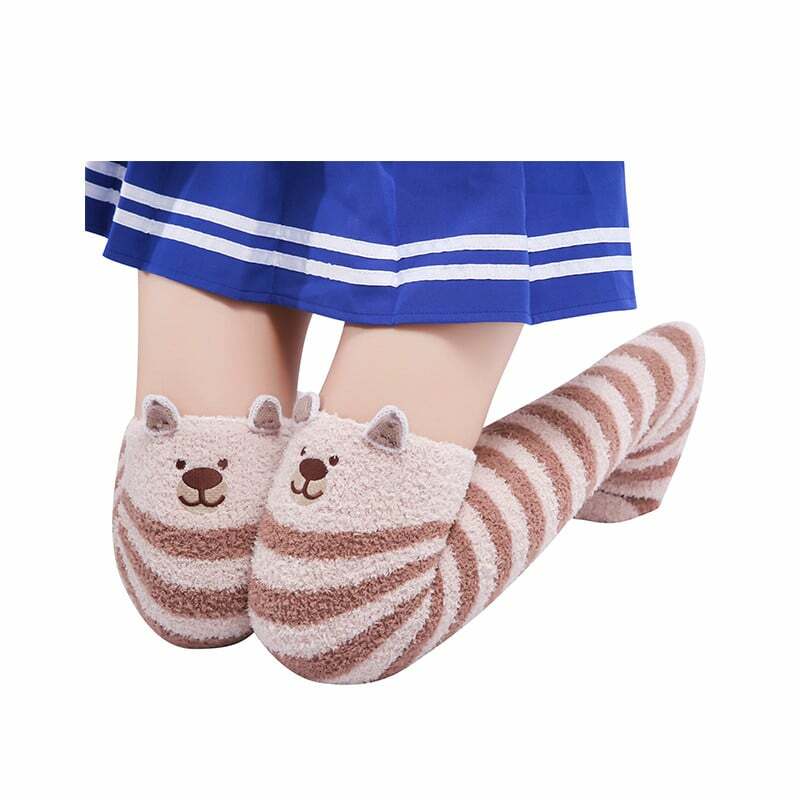 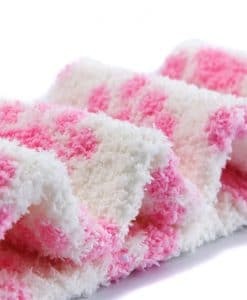 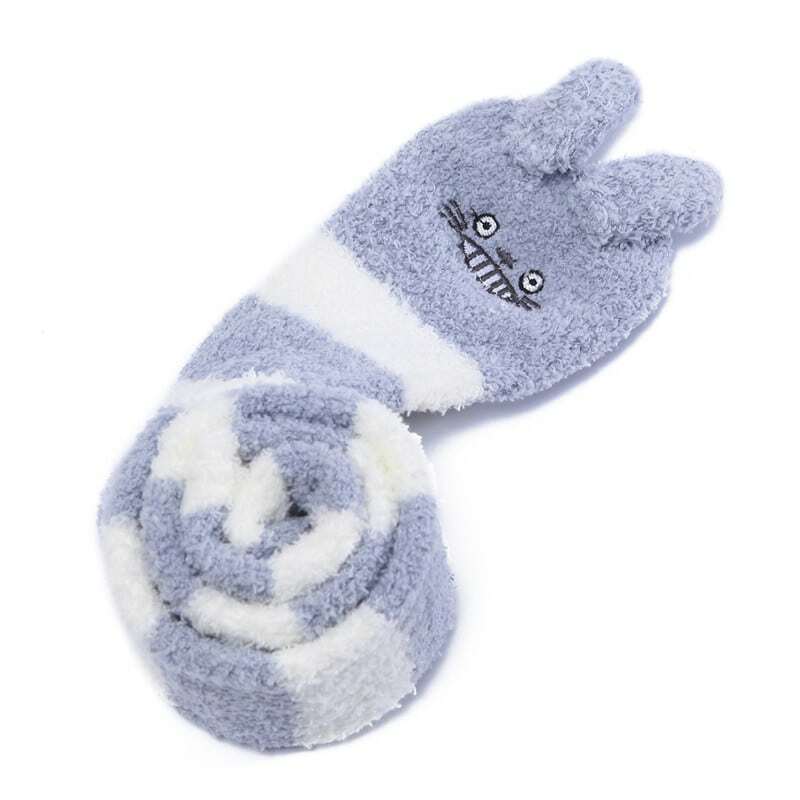 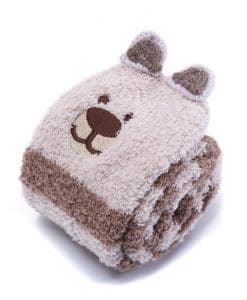 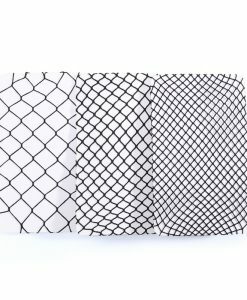 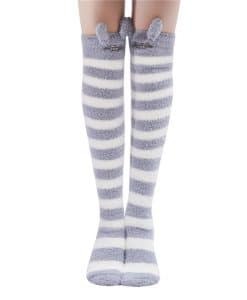 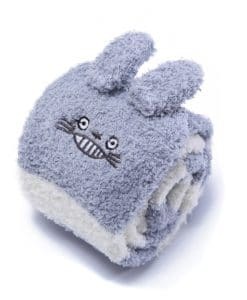 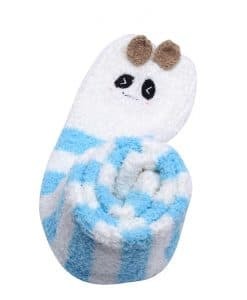 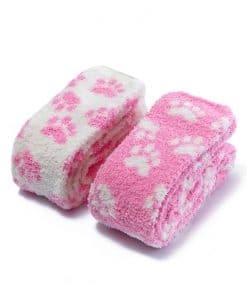 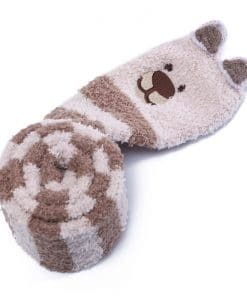 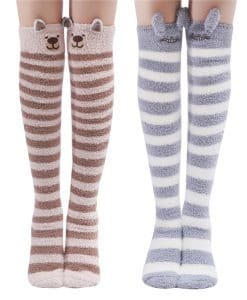 These socks come with cute grey and brown Color strips on it, coral fleece “fluffy” material. 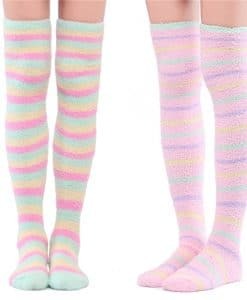 Two colors for different feelings.